“I’m not sure if we ever had a listener, but it was an opportunity for us to figure out how to make things interesting, tell stories and get people excited,” Parker recalls. 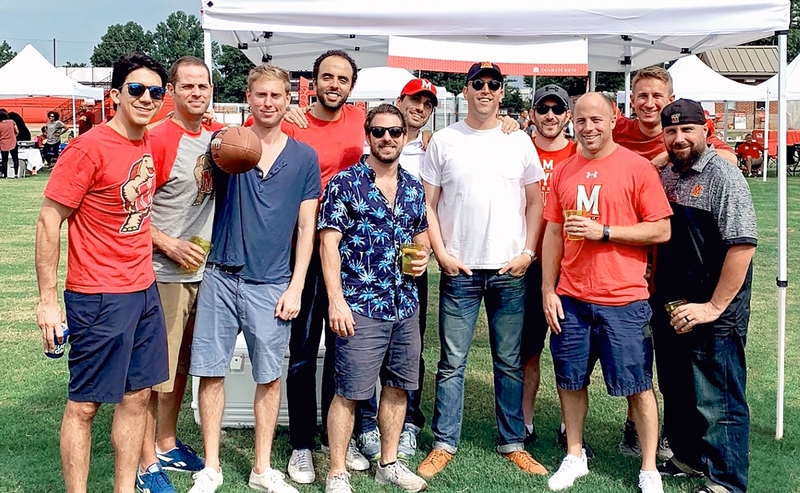 And while Parker was “just having fun” with the show, it sparked a career in sports journalism that, he says, would never have happened without his experience at Maryland. Now, Parker serves as Vice President of Content at NASCAR. He manages everything fans see—from social media to editorial content—to drum up excitement about NASCAR. Parker attributes his career path to his experiences at the Shirley Povich Center for Sports Journalism. He took a class (one of the first) with George Solomon, director of the program, who helped him get where he is today. “That was the first chance that I had to sink my teeth in and have a professor teach me about this area I was trying to go into,” Parker recalls. To this day, Parker keeps in touch with Solomon and returns to campus to speak to his classes. Parker urges current students and young alumni to keep in touch with their connections, as well. “I find, too often, somebody will come up to me and say ‘that was interesting, I’d love to keep in touch’ and I get one email from them but never hear from them again,” he explains. As a Lifetime member of the Alumni Association, Parker hopes to help open doors for those still trying to find their career path.